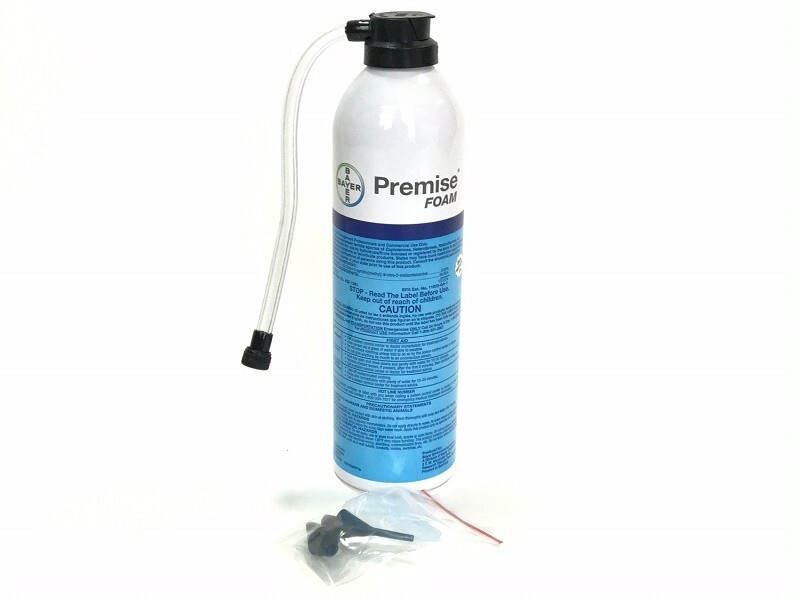 PRODUCT DESCRIPTION: Aerosol that pumps out a heavy shaving cream like foam used to inject wall voids, hidden spaces and insect galleries dug out by damaging insects like borers, termites and carpenter ants. 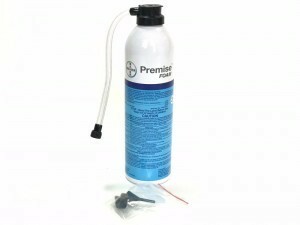 Odorless and long lasting, Premise is ideally suited for hard to treat hidden spaces. Each can comes with injecting tips allowing the applicator to make precise injections of foam into wall voids, holes drilled to receive the foam as well as insect galleries chewed through the wood. PRODUCT COVERAGE: One can will treat up to 1000 cubic feet so if you have a wall void that's 10 feet tall, 1 foot wide and 1/2 foot deep, the cubic space inside would be 5 cubic feet. The expansion rate of the foam from the can is approximately 30X. TARGET PESTS: Termites including Drywood termites, anobid (powderpost beetles), borers and carpenter bees.